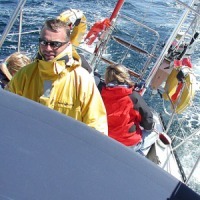 Stuart Gibson established Ocean Discovery in 1998 with the ambition to provide sailing and kayak adventure holidays and training in beautiful locations. Stuart has sailed the world and paddled throughout North Wales, Scotland, Alaska and South America during his career. Ed Curtis, a RYA Senior Instructor and coach assessor, has over 16 years coaching experience and joined Ocean Discovery in 2016. He is also an Advanced Powerboat Instructor and First Aid Instructor. Suzanne Creasey is a marketing and administrator specialist who worked at the National Watersports Centre for Wales for many years. She went on with Stuart to develop the marine education programme ‘Ysgol Y Mor’ and to promote North Wales as a centre of excellence for watersport activity. She brings great knowledge, enthusiasm and drive to the team and is the first in line for contact. Both trainers bring a wealth of experience from long careers at the National Watersports Centre for Wales, where they trained groups, squads, instructors and individuals of all ages and abilities, including schools, corporate groups, novices and olympic sailors. Coaching and instruction to RYA and BCU governing body standards is an intrinsic part of our set up.Our leaders and coaches are chosen for their high level of personal leadership, physical skills, enthusiasm and ability to communicate their ideas and objectives. We choose our expeditions and training locations to allow most people to participate. The coastal waters of North Wales, particularly Anglesey, Conwy and the Lleyn Peninsula and the training facilities are ideal for our courses. Stuart Gibson successfully skippered the London Clipper in the Sir Robin Knox-Johnston’s ‘Times Clipper’ Round the World Race in 2000. To sail 35,000 nautical miles over 11 months, Stuart focussed on teamwork, training and drive to turn his crew of amateur sailors in to skilled ocean racers. 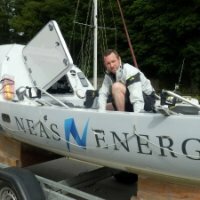 Ed’s work has taken him to the Arctic Circle, Dubai and on a fundraising challenge to row 3,000 miles across the Atlantic on the Talisker Atlantic Challenge. Stuart founded Ysgol y Mor, a marine education programme, introducing hundreds of school children in North Wales to sailing, kayaking and coastal environment studies.